Shchupak, Samiilo [Щупак, Самійло; Ščupak, Samijlo] b 16 March 1894 or 10 April 1895 in Lypovets, Kyiv gubernia, d 10 March 1937. Literary critic and political activist. He joined the CP(B)U in 1919 and was editor of the journal Hlobus and the newspapers Bil’shovyk (1919–25) and Proletars’ka pravda in the 1920s. His first published work appeared in 1920. 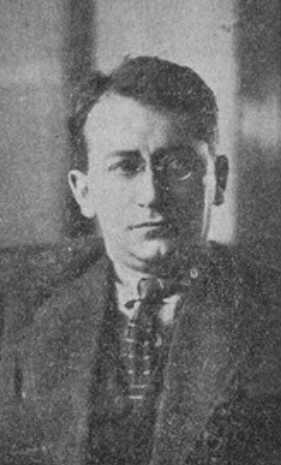 In 1930 he moved to Kharkiv and became editor of Literaturna hazeta (1930–6) and the journal Krytyka. He was one of the leaders of the All-Ukrainian Association of Proletarian Writers and an organizer of the Writers' Union of Ukraine. His articles of literary criticism adhered to the Party line, and in the Literary Discussion of 1925–8 he came out against Mykola Khvylovy. Collections of his writings include Krytyka i proza (Criticism and Prose, 1930), Borot’ba za metodolohiiu (The Struggle for Methodology, 1933), and Sotsiialistychnyi realizm u khudozhnii literaturi (Socialist Realism in Literature, 1934). 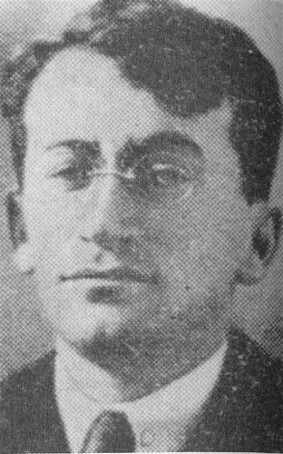 He was arrested on 10 November 1936, accused of being a member of a Trotskyite counterrevolutionary group, and sentenced to death by shooting. He was posthumously rehabilitated.